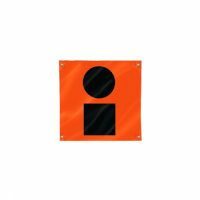 Our Coast Guard-Compliant Orange Distress Flag fulfills the legal requirement for “Day Visual Distress Signal for Boats” (46 CFR 160.072). 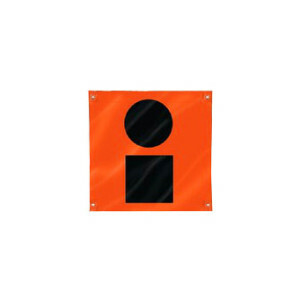 The black square and black circle pattern on this orange 36” x 36” Distress Flag has proven to be a literal lifesaver in countless daytime aerial searches. 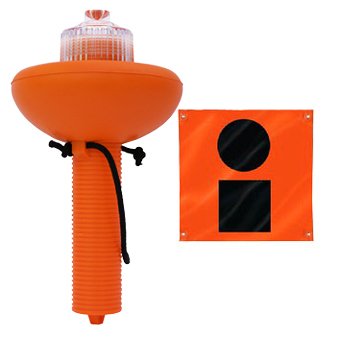 Made from a durable orange plastic with brass grommets in each corner, our distress flag, when paired with the SOS C-1001 visual distress signal, meets USCG Federal Requirements for carriage of day and night visual distress signals. 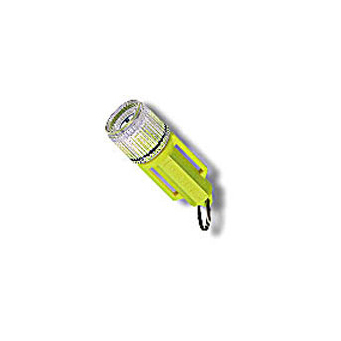 Made exclusively for Sirius Signal.